Now Instagram enthusiasts can share their everyday activities through photos and live video streaming as well. IG live video streaming is almost the same as the other social media site like Facebook. The only difference is that Instagram video stream will disappear once the live session ends. This is the reason why most Instagram users want to record Instagram live stream, so that they can watch it again anytime they want. There are various programs that can help to capture IG videos you love and some of the finest ones are shown in this post. This application is meticulously designed to mirror and record your device’s screen activities without altering your device’s system and memory. By using this program, users can take advantage of its mirroring function that is useful in viewing your screen in a larger screen. They can also make use of the screen capturing function for taking screenshots, and of course the screen recording functions. If you are an iOS user, you can utilize this app by downloading the desktop version. When it’s installed, launch the tool and go to WiFi tab. Keep the iOS device under the same network as PC, then activate its Airplay to find and connect your computer. When the device is connected successfully, its screen will be mirrored on the program’s interface. Just open the live video you want to capture in Instagram. Click camcorder icon to start recording, press stop button to end. In an event that you want to mirror your Android activities on computer along with audio, then you might need to connect via built-in cast function or Google Home app and leave ApowerMirror running in the background in phone. Pros: It has a user friendly interface, does not need any jailbreak or root and offers multiple functions. Cons: It requires internet connection if you connect the device via WiFi. Not handy if you are travelling. To save Instagram live video on your iOS device, here is a program that you can try called AirShou. This is a well-known third party application that is capable of directly recording your iOS screen activities. It does not require any jailbreak to work. But since it is a third party application, this screen recorder can’t be found on App Store or iTunes, instead you need to download it from the developer’s page. 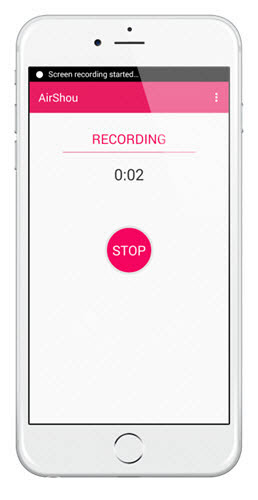 AirShou has an easy-to-use interface that allows users to go on with the recording with just few taps. It is a decent application to try, especially for beginners. Pros: Records directly into the device and no jailbreak needed. Cons: It sometimes includes a black screen while recording games. 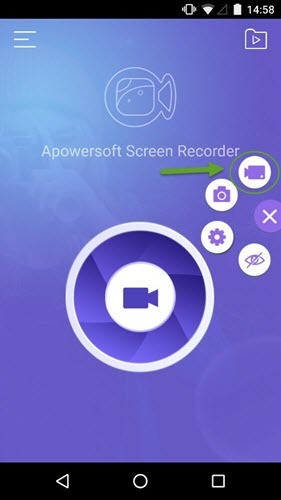 For Android fanatics, you can successfully record Instagram live stream video through this mobile application called Apowersoft Screen Recorder. This tool can be downloaded freely from Google Play Store. Good thing about this app is that it does not need any root access for it to work. All you need to do is to install the app and it will work instantly. The features that you can expect from this software include screen recording capabilities as well as screen capturing function. In case you need to do reviews and analysis, this screen recorder also supports front camera recording. Moreover, this program even has an overlay icon for more flexible options. Pros: It works directly inside the device and there’s no root access required. Cons: It may lag depending on your device’s specifications. Above are the ways to record live stream on Instagram. And here are some tips for you especially for beginners. 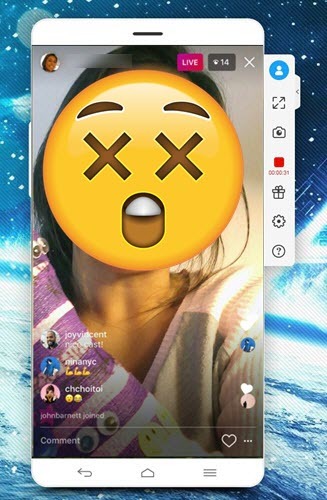 Instragram live stream disappears as soon as the broadcast ended, and the best way for you to know if someone is live is by actually looking for a “Live” captions which is located below their profile image. You might receive notifications as well. While if you are not fond of live video notifications, then you can turn it off by going to your profile page and then go to settings. After that, go to push notification settings, look for “Live” and then simply turn it off. Rating: 4.6 / 5 (based on 37 ratings) Thanks for your rating!